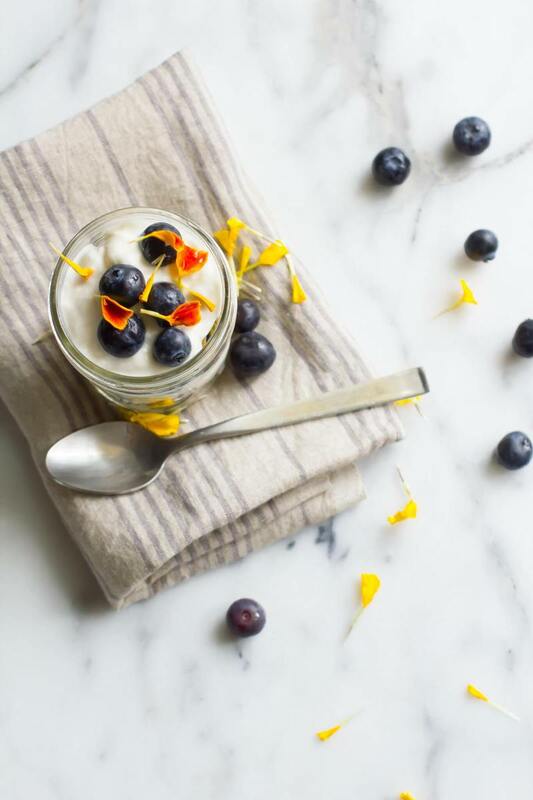 There are many different ways to add probiotics to your diet. You can take supplements, either in the form of probiotics capsules or a whole food powder that contains beneficial strains of gut bacteria like acidophilus. You can also eat fermented foods like sauerkraut, miso, tempeh or kimchee. Some claim that fermented foods deliver higher numbers of bacteria through the stomach to the colon (stomach acid does a number on gut bacteria on its way to our intestines. 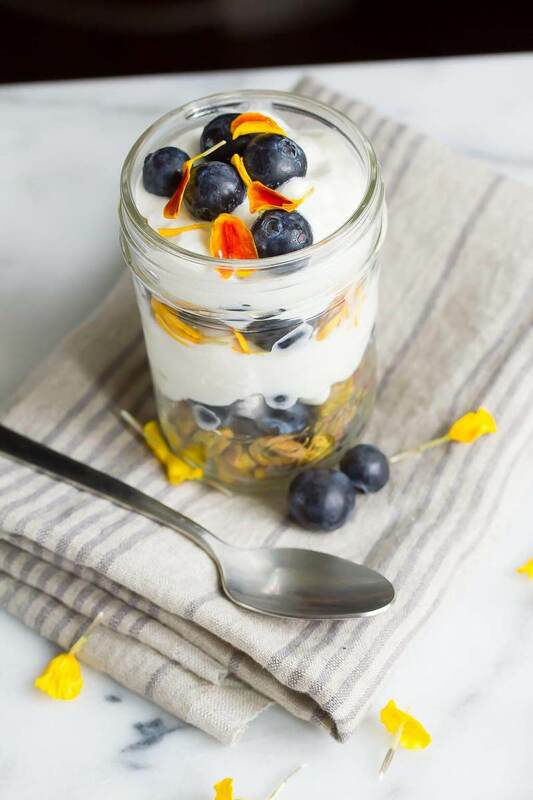 Non-vegans often eat yogurt or kefir made from cow’s milk to introduce healthy flora into their diet. 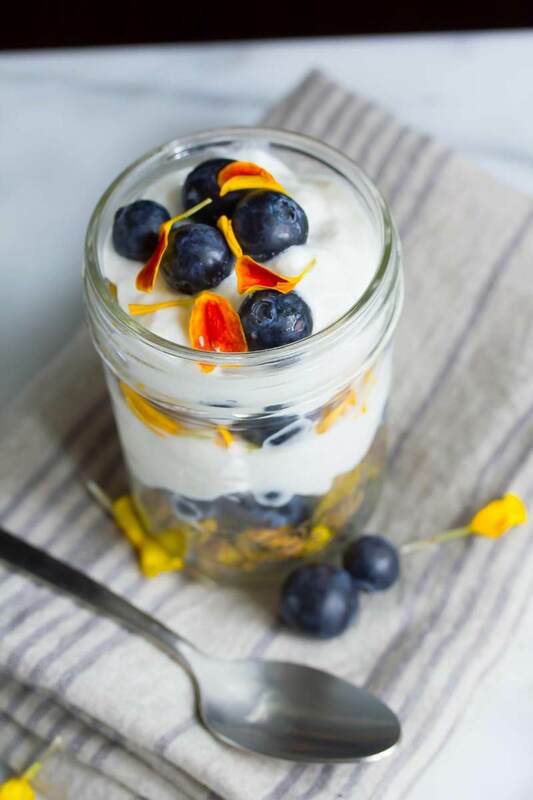 But if you follow a plant based diet, did you know you can make your own yogurt? AND it’s super easy!? 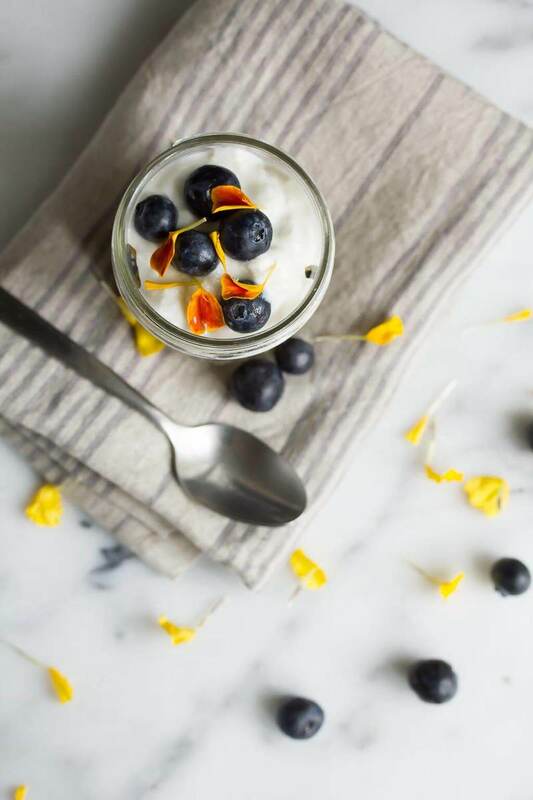 This cashew yogurt recipe is delicious with nuts and fruit for a healthy and energizing breakfast! Or it can be used as a substitute for sour cream on tacos! It goes equally well with savory or sweet food. And believe me, you will feel the difference! Add cashews, water or probiotic liquid, opened probiotic capsule*, and apple cider vinegar to a blender and puree to yogurt consistency. Allow puree to ferment covered in a warm place for 8-12 hours. Season with salt and lemon juice to taste after fermented to your liking. Spread the pistachios in a large roasting pan and bake until lightly browned and nuts are hot, about 6 minutes. Pour the maple syrup over the pistachios and coat well. Bake, stirring occasionally, until the nuts have absorbed most of the syrup, about 10 minutes. Remove the pistachios from the oven and coat with the coconut sugar and season with salt to taste. Cool slightly and break apart any nuts that are sticking together. Pour onto a greased baking sheet and cool completely. Yield: 4 cups. Store in a sealed container in your pantry. 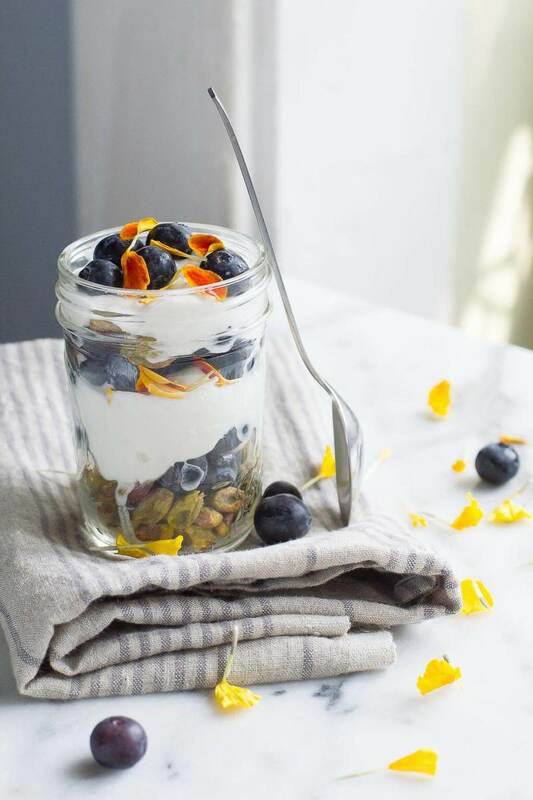 Layer into a glass cup of small jar layers of cashew yogurt, fresh blueberries, and maple roasted pistachios. Top with fresh marigold petals (optional) or fresh mint (optional).